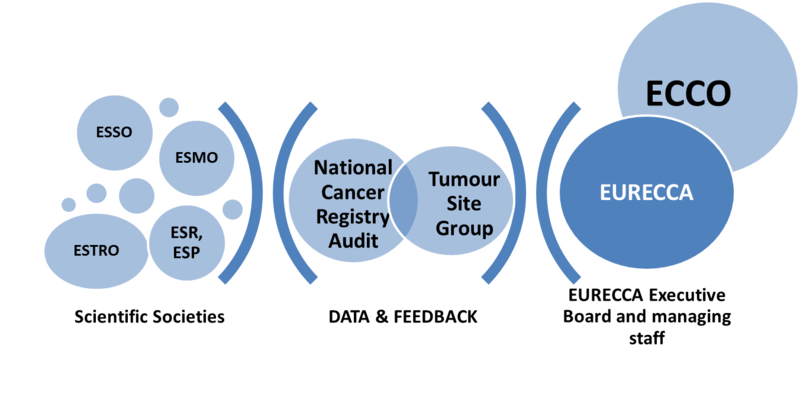 Expand to other countries per tumour site group, and other tumour sites and invite them to participate multidisciplinary in turn of support and feedback on a regular basis. With the ethical promises that data will be anonymously be processed and reported, only predefined and approved analysis will be done. Withdrawal of data is possible at any moment in time. 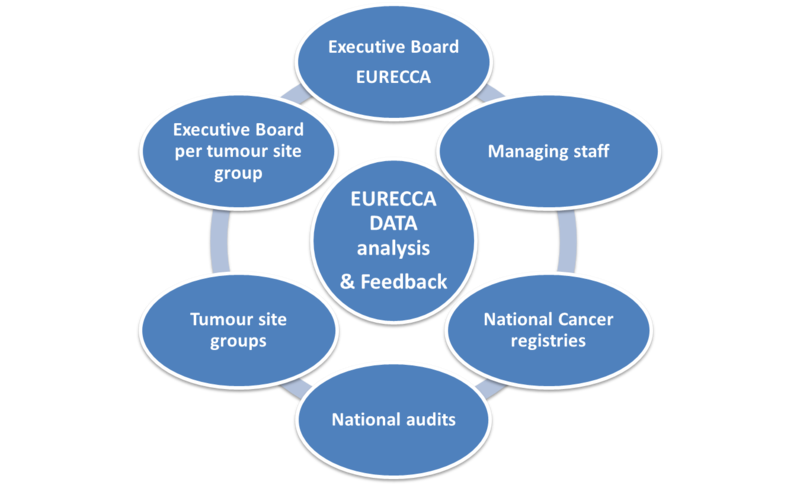 EURECCA prefers a parallel independent infrastructure supporting tumour site group and national and regional cancer registries and audits. A pure synergy with the Epidemiology network. EURECCA will closely collaborate and deliver service and knowledge to the Blue organization by means of quality assurance projects, education, communication and support in guideline formation.